but you can instead use a small SD card and a USB pendrive, as I show here. 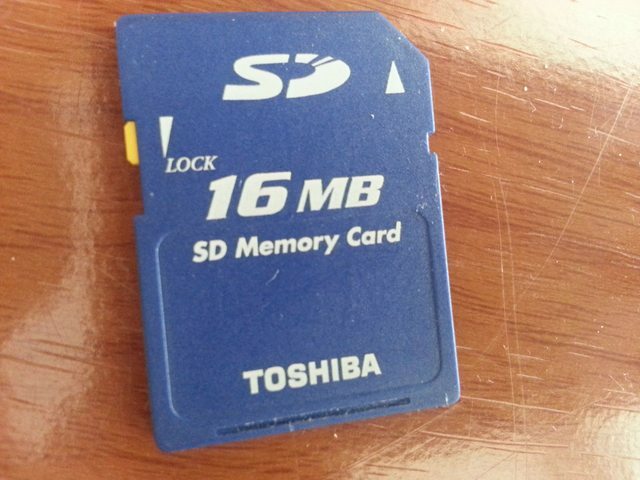 Take one ancient 16MB SD card – yes, 16MB – not the 1000x larger 16GB cards we use nowadays ! 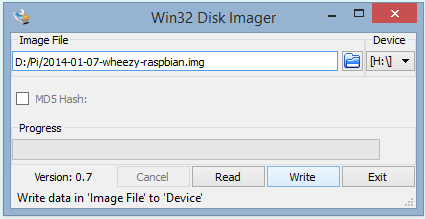 That’s it – all done, put SD card and USB pendrive into the Pi and boot up. how about instructions for boot to console? That is great ! Does that mean that we could, after the system is booted up, remove the sd-card and use the sd port to flash other sd-cards ? “Pinky! Are you pondering what I’m pondering?” Setting up the Pi as a camera that saves photos out to the SD card in the ‘standard’ way! How’s the performance compared to running off SD? How about using more USB pendrives to boot to OpenElec, Retropie, RaspBMC and so on. Will this also work? Or connect a USB pendrive or diskdrive and use NOOBS for selecting the OS on the USB? What if using af harddisk instead of a USB stick – have you tried to measure the performance? – Download the latest image. – Remove the pen-drive & re-insert it. – Format your SD Card (MMC do not work). – Copy all the files from boot partition to your memory card. Put both on RPi and you should have it running in matter of seconds. I’m using a 500 GB WD Elements Portable and the Raspberry Pi has much more CPU resources released, as flash takes a lot of CPU especially when writing. So much more snappier. For Arch Linux, use /dev/sda5. It works but, How can I expand the USB pendrive raspbian size? The .img is 2gb but my pen is 8gb. i did this boot (was quiet good) and i set the keyboard too in the console, but i cant do anything cause the mouse and keyboard doesnt communicates with pi in the graphycal function. leds are okay on both, but no reaction. why is that? at least until some menu where my mouse and keybord didn’t work so couldn’t select anything.